The above invitation is a pocket invitation from Marsupial Invitations with Starfish Design in blue ink on the cover with flat printing. 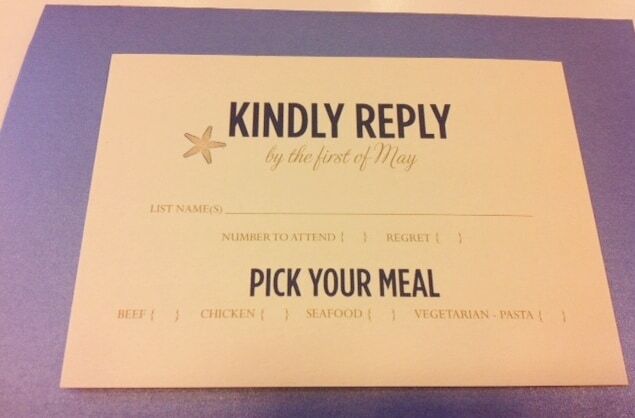 The above response card for Carol & Greg’s wedding is in sky blue and sand ink with starfish design. They offer a choice in menu: guests can choose–beef, chicken, seafood or vegetarian for their entree choice. 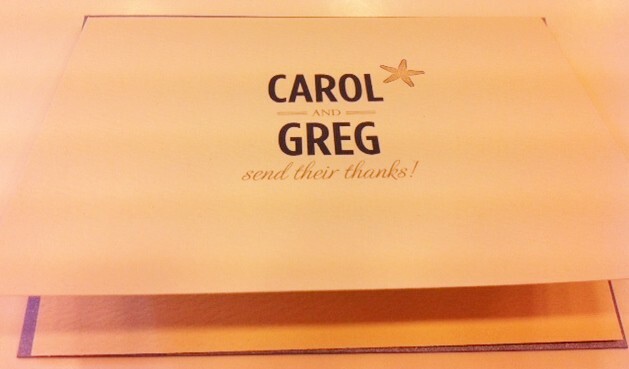 The above example displays Carol & Greg’s custom thank you cards. 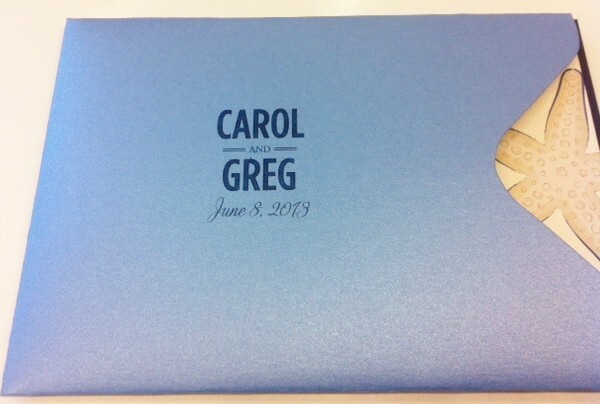 The inscription on the fold over thank you card reads, ” Carol and Greg send their thanks!” The inside of the note card is left blank for the couple to personalize for their guests. 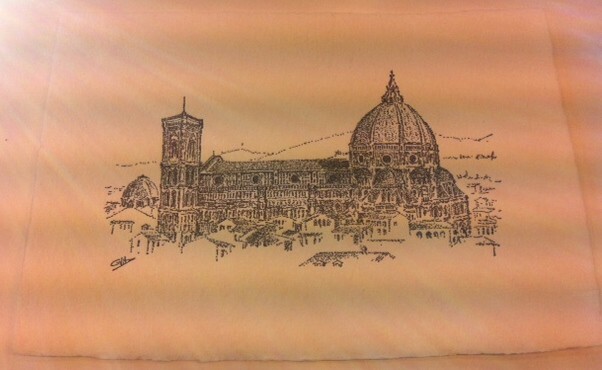 The destination wedding invitation is like any other invitation except it displays a little something with the place where the couple is getting married. If the couple is marrying at a far off place requiring passports, then a passport wedding invitation would be recommend or a plane ticket invitation or even a picture of the venue where the wedding is taking place. In this case, a seaside wedding demands a pretty starfish which fits perfectly with blue and sand ink on textures cream colored stock. To work on a destination wedding invitation or save the dates or other custom projects, simply, call us, email us or stop by our store at 3 Embarcadero Center, San Francisco, California. To see other sea side or beach themed invitations please see our beach themed category and destination wedding invitations. 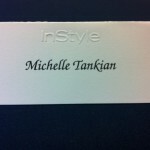 Please Make An Appointment for a FREE WEDDING CONSULTATION. 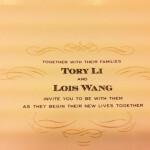 Shop Online for beautiful invitations, see our website and blog for more wedding invitations.